The Dante Bench by Daytona features a strong walnut base upholstered with the finest leather and fabric. The luxurious padded seat is layered with multi-density rubber and soft goose down for maximum comfort. 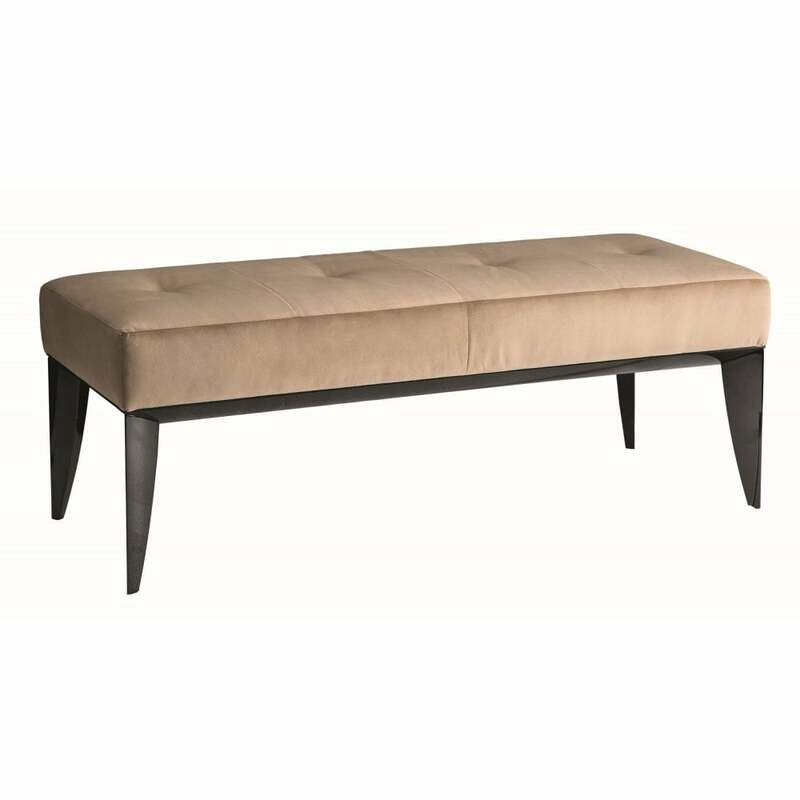 An elegant and sophisticated design, the Dante Bench works beautifully with deep woods, metallic accents and subtle hues of dusky pink, coffee and grey. Position at the end of bed, within a dressing room or in a spacious entranceway. Pair with the Memento bed to bring a touch of hotel chic into your interior scheme. Dante can be realised in a variety of refined fabric, leather and nubuck leather seat finishes. 100% Made in Italy. Make an enquiry for more information.